I love the story of Joseph. There are so many truths of God’s sovereignty that can be dived into. This week I want to talk about dreams…God dreams. I once heard a pastor say that God dreams are always met with opposition, are always greater than our current capabilities and character, and are always for a purpose much greater than ourselves. These three characteristics fit Joseph’s dreams perfectly. In Genesis 37, Joseph shares two of his dreams with his brothers and father. In both dreams, the Joseph was the object of others bowing down to him. That, of course, was met with significant opposition (especially his brothers wanted to kill him but ended up selling him into slavery), was certainly greater than his ability as he was just a shepherd boy, and was certainly for a purpose greater than himself as he would eventually be second in Egypt only to Pharaoh and save millions from starvation because of his plan to gather grain during prosperity in preparation for a 7 year famine. While most of us will never have a story like Joseph’s, we are all given God dreams. I will tell you that Servant Warrior Ministries was one. ..and still is. For many, a God dream it may be a vocational change. For others, it may be a business venture. And for some, it may be something like teaching a Sunday school class, going back to school, even starting a new hobby. If it is a God dream, the three characteristics will be clearly evident. Challenge: We often times place a level of expectations on “God Dreams.” We think that to be a “God Dream”, it has to be some earth-shattering, world changing endeavor. It doesn’t. God dreams are simply those things He places on our hearts that we cannot do ourselves, in our power and abilities. They usually require us to leave a comfort zone and/or go where we feel wholly ill-equipped knowing we have no reason to be there but realizing it is exactly where we are supposed to be. “I don’t think the way you think. The way you work isn’t the way I work.” God’s Decree. Isaiah 55:8 (MSG). Prayer: Lord, thank You for Your Dreams. Thank You for bringing me to a place where I know I can’t do what I have been called to do without You. Lord, please give me the ability to recognize the dreams You place in my heart. And please give me the strength and confidence to go where You call me. In Jesus’ name. Amen. For more information about Servant Warrior Ministries, visit www.servantwarriorministries.org. Make a statement without saying a word. Visit www.dontdiestupid.net to find out how. The story of the Walls of Jericho and how Joshua and the Israelites overcame this seeming impenetrable and impassable barrier on their way to the promised land is one of the most well known stories in the Bible. The City of Jericho was an absolute fortress….virtually impenetrable to anyone coming against it. To God, it was simply another “faith waypoint” for Joshua and the Israelites on the road to the promised land – a land flowing with milk and honey (Exodus 3:8). The journey to the promised land was God’s plan for the Israelites. It is no different for us today. God’s plan for our lives is filled with these “faith waypoints” that we must face. Joshua faced a seemingly impossible task to be accomplished by, what many would think, very unorthodox (you can say it…crazy) means…bring down the fortified walls Jericho with only voices and faith. Of course, the operative word is faith. Prayer: Lord, thank You for Your love, grace, and for Your promises. You tell me that whatever I ask in Your name it will be granted to me. Thank You for Your faithfulness despite my lack of it. Please give me the ability to hear You and the strength and courage to do what You have called me to do…to follow Your plan for my life, not mine. Please give me the strength to have faith in You when I come up upon the many “walls” in my life. In Jesus’ name. Amen. For more information visit www.servantwarriorministries.org. “Who Am I Kidding?” is a repost from earlier this year. Hello, October. Oh, how glad I am to see you. Leaves are changing…everywhere but here in Florida (bummer!). College football is in full swing. The Fall Classic is upon us. The annual family pilgrimage to the apple and pumpkin farms of North Georgia is so close I can taste it…literally! And for all the fans of Inspirational Country Music, the ICM Awards are just days away. And in honor of the ICM’s and Power Source Magazine, both very near and dear to my heart, the theme of this month’s article has an obvious ‘musical inspiration’. It hasn’t been that long ago that records or albums, the vinyl type played on a turntable, were the way we enjoyed music. I can still hear the 33’s played at 78…chipmunks! Those old enough to remember are laughing in nostalgia. Oh, the pain and anguish you felt when you left a record in sunlight or let it get scratched. We all still have memories of songs that would never end due to a stuck needle and a trip from the other side of the house was necessary to help the needle along so the song would finish. How many of you who remember the beloved vinyls ever found yourself mesmerized by the needle going up and down as a warped record went around…and around…and around on the turntable? Oh, the memories…and how times have changed. Of course, now we can get individual songs electronically. 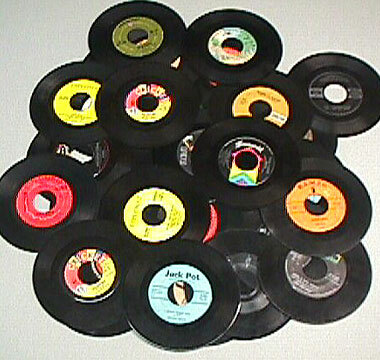 But back in the day (For those of you over 40 please hang with me for another 30 seconds) we got individual songs via smaller records called 45’s, records played at 45 rpm’s. The 45’s had an A side and a B side. The A side was always the ‘hit single’ and the B side was another song from the artist’s album, usually not slated to be promoted as a ‘hit’. And even though every now and then it became as big of a hit as its A side counterpart, the B side song was simply a song to fill the back side of a record. In the life of a new believer in Christ, the A side of the record is this awesome, incredible, eternal new life song with Christ and the decision for Him to be their Lord and Savior. This is the ‘hit’…as it should be. This is the side that receives most of the attention and the ‘airplay’. The B side to this record, however, is equally as important and awesome but a bit scarier, painful, and not necessarily material for the marketing posters. But it is critical to the spiritual life of this new believer that the B side be listened to as well. When someone accepts Christ into their hearts, their life is changed forever. That decision also propels this new Christian right into the middle of an all out war…one where every weapon of the enemy is pointed at, well, them. New Christians, even Christians further along in their faith seeking to get closer to the Lord, pose a serious threat to the devil. Satan will do everything he can, as quickly as possible, to stop this new life direction and choice. That means he will come with everything he has, from all sides and sources. 1 Peter 5:8 tells us “…the enemy prowls around like a roaring lion looking for someone to devour.” To use an analogy from the jungle, a baby antelope or an animal that is wounded is much easier prey than one that is older, faster, more experienced, and especially one that is part of a larger group. As Christians, we need to reach out to, take responsibility for, and be real with people seeking a new or renewed life in Christ. They need to know that a decision to accept Christ as Lord of their life is the greatest decision they will ever make and one that will radically change their life forever. It is one that will bring them into direct and eternal fellowship with the all powerful and sovereign Creator of the heavens and the earth, the Great I Am, the King of Kings and Lord of Lords, the Beginning and the End. They need to know it is also a decision that will bring about an all out spiritual attack intended to stop that ‘life’ before it gets started. However, they can take heart, and we need to remember, that the devil loses (Revelation 20:10), earthly troubles have benefit (1 Peter 1:6-9), Christ has overcome the world (John 16:33), and that believers are heirs to the throne of Glory (Galatians 4:7) and will live forever (1 John 2:17). That rocks…and so does our God! The above article appeared in the October 2011 Issue of Power Source Magazine, www.powersourcemagazine.com. Click HERE to view the pdf of the actual article. Make a statement without saying a word. Go to www.dontdiestupid.net.